Reward Your Customers' Loyalty and They'll Reward You with More Sales! The appeal of custom loyalty cards for small business operations is obvious. Loyalty cards enable you to thank your clients and customers for their business, at the same time they encourage additional purchases of your products and services. If you’re a new business wanting to start off on the right foot, consider gift and loyalty cards today. If you’re an already established organization looking to up your number of rapid patrons, a loyalty card can be just the ticket. Find out more about our flexible loyalty and gift card programs here. Three Ways to Boost Sales! As a consumer, you probably have a few loyalty cards of your own, so likely you already understand their psychological and financial value. As a business owner, you can put those same benefits to work for you through well-thought-out and seamlessly integrated customer loyalty programs. 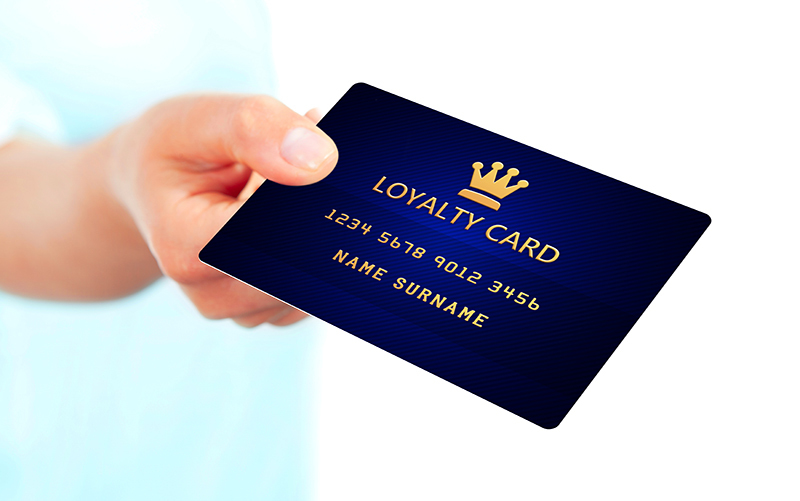 Any merchant can use a loyalty card. All that’s required is a simple integration with your point of sale system so that when customers come into your establishment or visit your ecommerce site, they can flash that card (physically or electronically) and rack up points they can later use toward a variety of goods and services. Not only does this give you valuable data on who shops with you, it encourages shoppers to bring their business to you rather than a competitor – hence loyalty. Did you know that on average, customers spend about $29 more than the value of the gift card when they use it in your store or on your ecommerce site? Moreover, a full 61 percent of gift card holders spend more than the card’s original amount. That’s because consumers do not limit themselves to the amount on the gift card when shopping; instead, they view it as a partial payment toward an item they’d really like, and so are frequently willing to spend additional money. Again, the benefits to your company are obvious, because by offering gift cards, you’re enabling customers to spend more money with you in a guilt-free manner. Plus, gift cards have been shown to minimize buyer’s remorse, which means that your overall level of returns goes down. By putting a gift card system in place from the beginning, you enable happy customers to pass on their love of their establishment to friends and family. This represents free brand-building as well as a financial win. There are no minimums for loyalty or gift card services. We charge an upfront fee only, after which you are free to use your loyalty and gift card services freely. To learn more about how these services can help you grow your business, please to contact us or call us at (800) 610-3922 today.